On May 11th, the racers in the Amgen Tour of California will travel from Nevada City to the stage 2 finish in Lodi. Don’t miss this exciting milestone as these competitive cyclists ride from Sacramento to Los Angeles! Click here for route information, visitor information, and volunteer opportunities. On May 16, 2015 the Lodi Sunrise Rotary Club will host the 19th annual Century Ride. Participants can choose a 50k, 100k, or 100-mile route. The rides travel through Lodi wine country, with amazing views of farmland and vineyards. We can’t think of a more fun way to enjoy Lodi’s gorgeous scenery. You can find more information on the event website, here. Get up and get active this summer in Lodi. Bring the whole family to Cyclefest on June 7th, 2015. Presented by Michael David Winery, this Downtown Lodi event features a series of bike races and a 5k. Online registration will be available soon at the event website. The Gidro D’Vino is another annual favorite in Lodi, taking place in early November. This 75k ride travels through the wine-making region and includes complimentary wine tastings, rest stops stocked with snacks and water, and a post-ride meal with live music. Visit the event website for more information. Learn more about the connection between wineries and cycling in this article from SFGate.com. To find a good cycling route while you’re in town, visit Map My Ride’s Lodi, California page. Remember to follow cycling safety tips when you are out on the roads. Stay hydrated, wear brightly colored clothing, and follow all traffic laws. 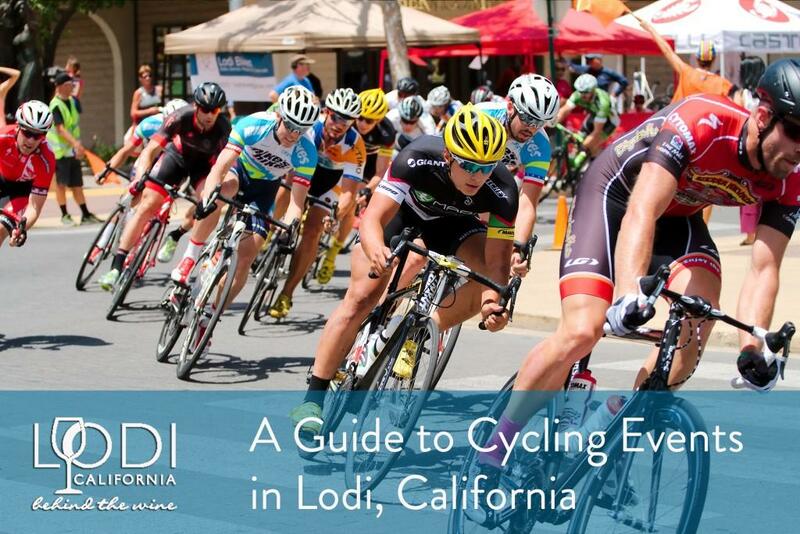 We hope to see you cycling through Lodi soon! Learn more about things to do in Lodi during your visit, or find great deals on hotels for your stay. For more cycling information and Lodi bike routes visit our Lodi Bike Routes page.